Former GNSO Council chair Stéphane Van Gelder, who died last month, has been remembered in a motion passed by the Council on Friday. It recognizes the “significant contribution” he made to the GNSO, his “genuine passion, energy and commitment” to his role, and concludes by offering “heartfelt sympathies to his family and friends”. 1. 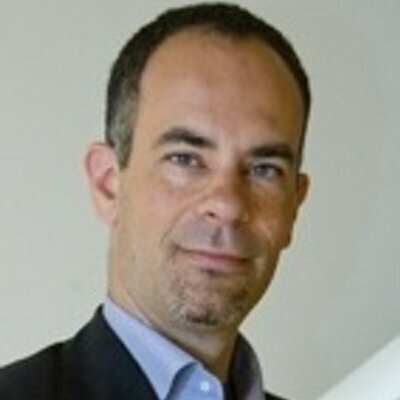 Stéphane Van Gelder first entered the domain name business in the late 1990s when he founded Indom, a registrar in France, which later become part of the GroupNBT based in the United Kingdom. It was while Stéphane was General manager of INDOM that he was elected to the GNSO Council by the Registrar Stakeholder Group. 2. Stéphane served on the GNSO Council from 2008 through 2012, as an elected representative of the Registrars Constituency. 3. Stéphane served as Vice Chair of the GNSO Council in 2010 and was elected and served two consecutive terms as Chair of the GNSO Council in 2011 and 2012. 4. As Chair of the GNSO Council, Stéphane was an impartial and neutral facilitator on all issues. For Stéphane, remaining neutral was key to ensuring collective dialogue. d. launch of the IRTP Part C, Thick WHOIS and Locking of Domain Names subject to Uniform Dispute Resolution Policy Proceedings PDPs; and (e) continuing work on WHOIS studies, registration abuse policies, and multiple other GNSO projects. e. the completion of the Applicant Guidebook for the 2012 New gTLD Program and the launch of the Program. f. Stéphane was a well-respected and much liked member of not only the GNSO, but of the broader ICANN Community. He was admired for his passion, his fairness, his ability to find the best in people and his true gift for uniting people. g. Stéphane’s passing is a great loss to the many people in the ICANN community that had the pleasure to work and interact with him, and for his many friends at ICANN the loss is significant. 1. The GNSO Council wishes to recognize the significant contribution Stéphane made to the GNSO Council during his tenure and his notable achievements during this time. 2. Stéphane’s genuine passion, energy and commitment to the Internet and all that it brought to the world was second to none and we will miss him dearly. 3. On behalf of the current and previous GNSO Councils, we offer our deepest and heartfelt sympathies to his family and friends at this most difficult time. Van Gelder died after an automobile accident, which also injured his wife, in Switzerland at the end of March.